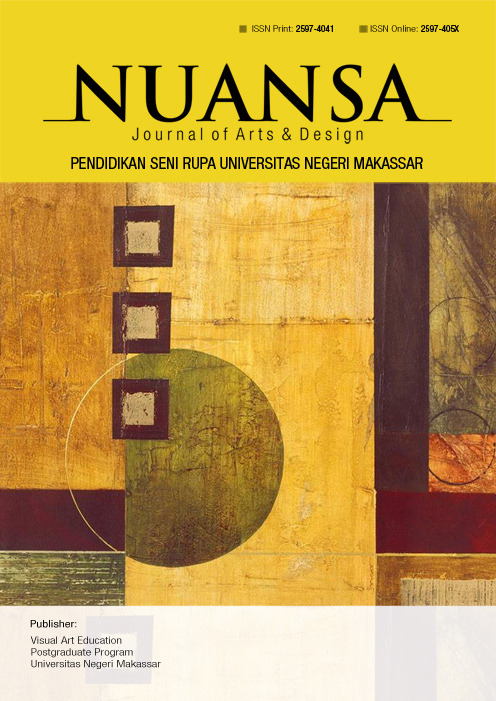 Nuansa Journal of Arts and Design Call for Papers 2018. Kampus PPs UNM Makassar, Indonesia. Nuansa Journal of Arts and Design is licensed under a Creative Commons Attribution-NonCommercial 4.0 International License.